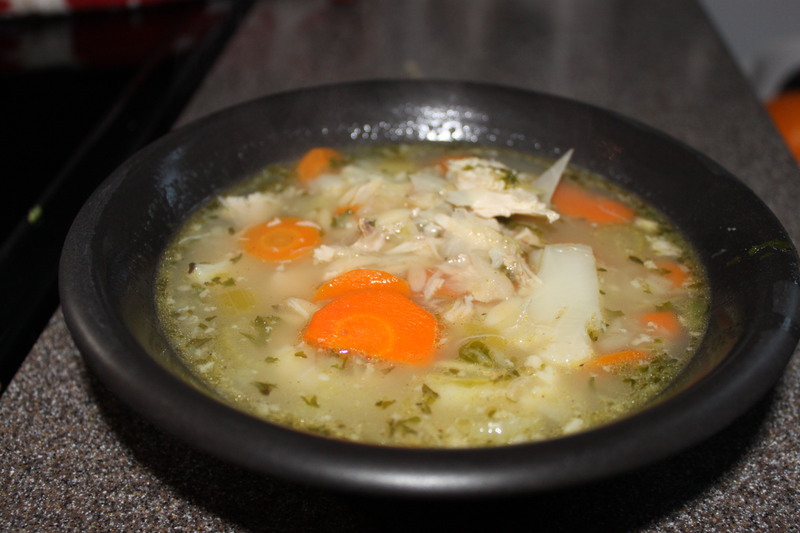 I think homemade turkey soup is pretty much a given in the week following Thanksgiving, but I thought I would share what I generally do when making my soup. Of course, there really isn’t a recipe, but there are a few standard things I do. Place the bones in a large pot and cover with water. Add bay leaves and end of celery stocks with the leaves (if you have). Bring to a boil and then simmer for a few hours. Let cool and strain, reserving the broth. I usually pick through the bones and meat and use whatever can be salvaged for the soup and toss the rest. Bring soup base back to a boil. Meanwhile, sautè veggies in butter with garlic. It is best when you can get some of the browning in the base of the pan as it really adds flavour to the soup. Scrape the veggies into the pot of broth making sure to scrape the bottom of the pan well. Add kale, dry spices, turkey, bouillon to taste, and orzo. The orzo will need to cook about 6 to 8 minutes, but you can leave the soup on low for an extended period to let the flavours mingle. Enjoy! Posted on October 18, 2013 by Cindy Roy •	This entry was posted in Recipes, Soup & Sandwiches and tagged thanksgiving left over recipes, Thanksgiving leftovers, turkey soup, turkey soup recipe. Bookmark the permalink.